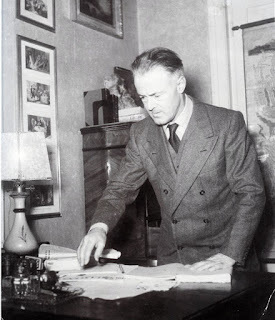 Ugo Betti, a playwright whose works exploring facets of the human condition are considered by some to be the finest plays written by an Italian after Luigi Pirandello, was born on this day in 1892 in Camerino in Le Marche. Betti wrote 27 plays, mainly concerned with evil, guilt, justice, atonement and redemption, largely in his spare time alongside a career in the legal profession. 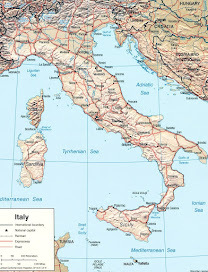 Although he started life in what was then a remote town in the Apennine mountains, about 75km (47 miles) inland from the Adriatic coast and a similar distance from the city of Perugia, Betti moved with his family at an early age to Parma in Emilia-Romagna. He followed his older brother Emilio in studying law, although his progress was interrupted when he was enlisted as a volunteer in the army after Italy entered the First World War. 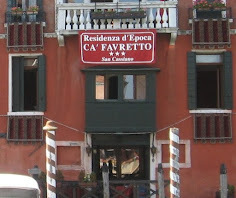 He was captured in the disastrous Battle of Caporetto and interned in a German prisoner of war camp. 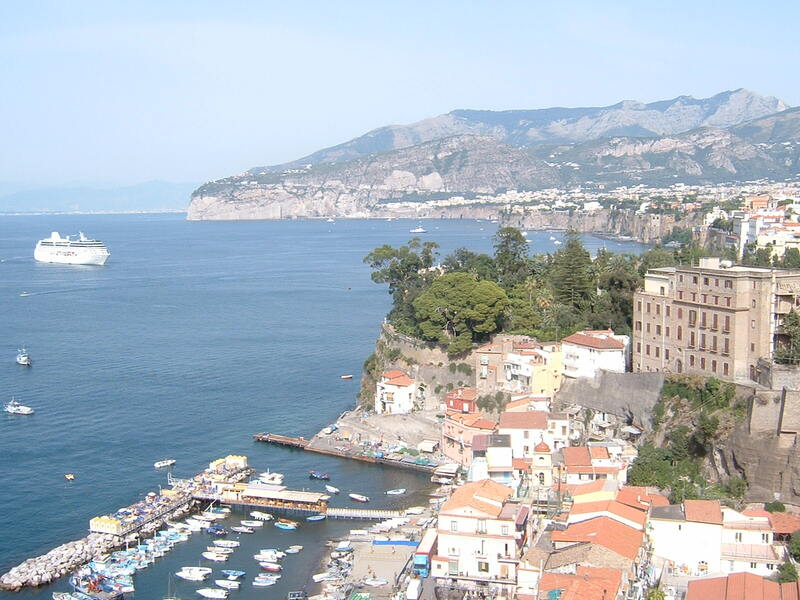 By chance, he found himself in the company of two writers, Carlo Emilio Gadda and Bonaventura Tecchi, who encouraged him in his own writing. His first collections of poems, entitled Il re pensieroso (The Thoughtful King) and published in 1922, were written while he was in German captivity. Betti returned to his studies after the war and became a magistrate and then a judge, first in Parma and later in Rome. As a young man, he was also an enthusiastic amateur footballer and was one of a group that formed the city’s football club in 1913. In fact, along with another in the group, Betti designed the club’s original shirt - white with a black Latin cross - which has been revived this season as one of the Serie A team’s alternative strips. His first play, La padrona (The Proprietress), was performed in 1927 at Rome's Teatro Odescalchi and received enough critical acclaim for him to continue. By the time the Second World War broke out, he had written seven more. In one of these, Frana allo scalo nord (Landslide at the North Station), published in 1932, Betti explored the concept of collective guilt through a story about a court inquiry into an accident which had caused the death of some labourers and a girl. As the story evolves, the circle of those responsible becomes wider and wider so that ultimately humanity itself is on trial. 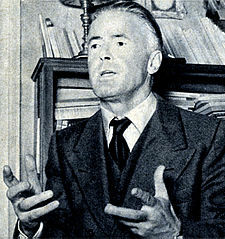 As a writer during the Fascist period in Italy, he was accused at different times of being anti-Fascist and a Fascist apologist, to the extent that he was threatened with imprisonment, although ultimately he continued to write unimpeded. A job after the war in the library at the Ministry of Justice allowed him more time to write. 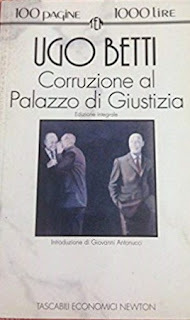 Many consider his greatest play to be Corruzione al Palazzo di Giustizia (Corruption in the Palace of Justice), written between 1944 and 1945 although not performed until January 1949 at the Teatro delle Arti in Rome. The play, in which an unscrupulous judge, having clawed his way to the presidency of the Supreme Court, realizes his own guilt after being investigated for corruption and and gives himself up. Again, Betti’s implication is that all of humanity is culpable. Along with Delitto all'isola delle capre (Crime on Goat Island), a violent tragedy of love and revenge, and La regina e gli insorti (The Queen and the Rebels), in which the case is made for compassion and self-sacrifice, Corruzione al Palazzo di Giustizia established Betti’s reputation internationally. Actors of the calibre of Vittorio Gassman, Enrico Maria Salerno, Salvo Randone and Tino Buazzelli - all highly regarded in Italian theatrical circles - eagerly accepted parts in Betti plays. 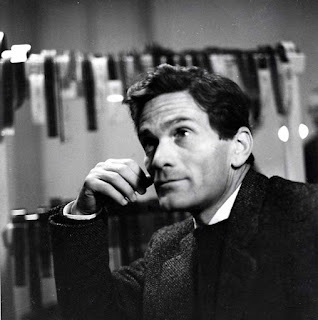 Betti, who finished his legal career at the court of appeal in Rome, won a number of awards, including the that of the Istituto Nazionale del Dramma in 1949 and the Premio Roma the following year. He also co-founded the National Union of Dramatic Authors (SNAD), with the aim of safeguarding the work of dramatists and theatrical writers. He died in Rome in June 1953, aged 61. Camerino is built over the site of Camerinum, a Roman settlement, although no remains are visible, lying at least one metre below ground level. 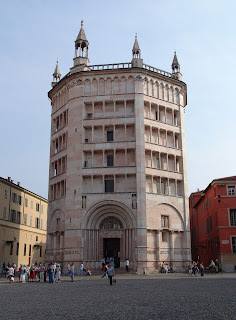 However, the town, which has a population of around 8,000, does have a neoclassical cathedral built in the early 19th century, a university that dates back to 1336 and, just outside the town, the Rocca Borgesca, a castle built after Camerino was invaded by Cesare Borgia in 1502. The fortress was built around a convent, although most of the buildings within the walls were demolished in the 17th century after the castle fell into disuse. Today the walls remain, surrounded by gardens, while a surviving stable building inside the walls has become a restaurant. 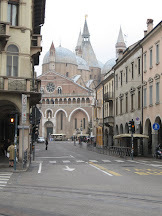 Parma, where Betti grew up and began his working life, is an historic city in the Emilia-Romagna region, famous for its Prosciutto di Parma ham and Parmigiano Reggiano cheese, also known as ‘parmesan’. Noteworthy buildings include the 12th century Romanesque cathedral and its pink marble baptistery. The golden fresco that covers the cupola in the cathedral is Correggio’s 1520s masterpiece The Assumption of the Virgin. The Teatro Regio, a 19th-century opera house, is a noted theatre and the Galleria Nazionale, inside the Palazzo della Pilotta, displays works by painters including Correggio and Canaletto. 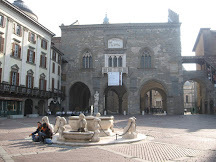 The composer Giuseppe Verdi was born near Parma at Bussetto.